Tom Mitchell of Myrtle Springs captured all the drama on his cell phone camera. The storms and tornadoes that have battered parts of Texas this past weekend have already claimed at least 14 lives. 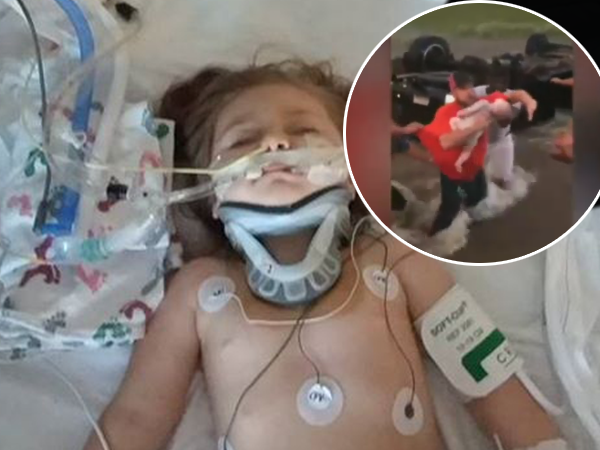 Luckily for little Marshall, who was with his two-year-old sister Addyson (Addy) and his father, Phillip Ocheltree, when the vehicle they were in was swept away by flood waters, a Good Samaritan made sure that they were not counted among the fatalities. All three are in hospital recovering from the ordeal. Their father said that Addy’s condition is stable and she is a whole lot better.